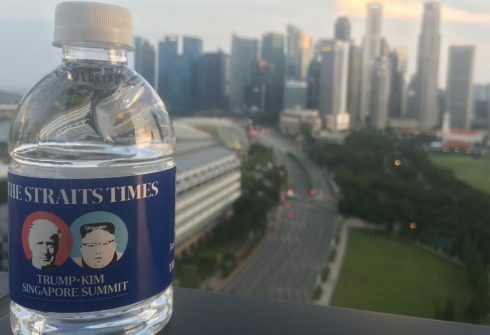 Last night was spent watching the “morning” in Singapore as the leader of North Korea met one-on-one with President Donald Trump. Even the most optimistic student of history has to be amazed at just how amazing this meeting and friendly handshake is after years (decades) of the hermit kingdom ignoring and thumbing their nose at the west. I think those who even oppose Trump would like to see some movement towards peace and denuclearization of the Korean peninsula — it sure would be a positive. The two leaders met for the first time at the Capella Hotel on Sentosa Island in Singapore.